The U.S. Navy’s Carrier Strike Group 4, is currently conducted GPS Interference testing in the East Coast area. As an FAA NOTAM (Notice To Airmen), issued for airspace in eight of the FAA’s Air Route Traffic Control Centers, warns, GPS could be degraded from the Caribbean and Florida north to Pennsylvania west to eastern Louisiana, while the tests are conducted Feb. 6 – 10, at different hours. 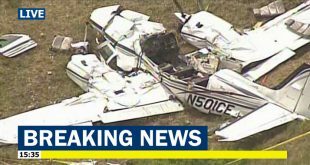 The East Coast test is “unacceptably widespread and potentially hazardous,” said Rune Duke, AOPA senior director of airspace, air traffic, and aviation security, in an article on AOPA website. GPS-based services including Automatic Dependent Surveillance-Broadcast (ADS-B), the Ground Based Augmentation System, and the Wide Area Augmentation System, could be unreliable or lost in a radius extending several hundred miles from the offshore operation’s center, the FAA said. Despite the complaints from the civilian side, dominating the GPS “domain” is crucial to winning. 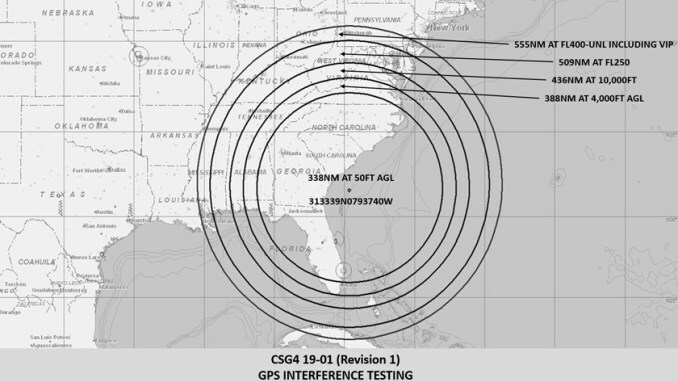 Consequently, along with the periodic testing like the one took in the U.S. southeastern coast, GPS jamming has become a common operation of the most recent Red Flag exercises that include simulated scenarios where warfighters train to operate in an environment where electronic and cyber-attacks may disable GPS capability.